Want to improve your hormonal health? If your pituitary gland doesn’t receive enough magnesium or vitamins D and E, it won’t have what it needs to secrete hormones properly. Then the various organs and glands that depend on pituitary signals will be impacted as well. Then there’s iodine. If you don’t get enough, you won’t make enough thyroid hormone. If you don’t have enough thyroid hormone, your metabolism suffers. When it comes to our hormones, a whole lot can go wrong in a whole lot of places. That’s why it just makes sense to support and balance them in every way possible. Modern research continues to unveil new ways we can do this, but today I want us to take a peek at our past and see how we can use it to influence our futures. Why didn’t they experience the prevalent hormonal cancers we do? Why were they vibrant and healthy, while we struggle with chronic fatigue and an ever-declining life expectancy? The answer to “why” is multi-faceted, but I’ve spent years researching the topic, and I believe diet played a critical role – more specifically, their consumption of grass-fed organ meats. Gram for gram, grass-fed organ meats are among the most nutrient-dense foods on the planet – even more so than the more popular superfoods like spirulina, turmeric or kale. Let’s take a look at each of the 4 primary organ meats and the benefits they hold for our hormones. Keep reading – you’ll be amazed at the nutritional punch they pack! Plus, I’ll show you how you can benefit from their nutrients without actually eating them. Because let’s face it, they aren’t the most appetizing foods ever. And when it comes to TRUE vitamin B12 (which is only found in animal products), grass fed beef liver is the richest source on the planet. That’s important because vitamin B12 is 1 of 13 essential vitamins we need to stay alive and is involved in hundreds of processes in the human body, many of which affect our hormones. When it comes to vitamin B12 and hormone health, it’s a vicious circle though. A B12 deficiency can cause hormonal imbalances, but too many or too few of certain hormones can cause B12 malabsorption. Take estrogen for instance. A 2012 study showed that birth control pills can lead to vitamin B12 deficiency, which can lead to ovulation changes, defective implantation and ultimately infertility. The other nutrient grass-fed liver is famous for is vitamin A. Known as a catalyst for many biochemical processes, this vitamin plays a critical role in thyroid function and hormone production. And while vitamin A from plants (carotene) is a great antioxidant, most people have a hard time converting it into true vitamin A, which is what your body needs to facilitate hormone synthesis and thyroid regulation. Vitamin A from animal sources like beef liver provides this nutrient in its true, bioavailable form - no tricky conversion necessary. When it comes to your hormones, the #1 nutrient that kidney meat provides is selenium. Besides its neuroprotective properties, it is required for the manufacture and metabolism of thyroid hormones. This absolutely necessary, yet underappreciated mineral is needed to convert T4 to T3 as the enzymes involved are selenium-dependent. As you probably know, insufficient T3 levels often lead to hypothyroid problems. Selenium is also lauded for its role in clearing the body of excess estrogen – an excess that can lead to endometriosis, PCOS, fibroids, and other reproductive conditions. Beef heart is the number one food source of copper in the world, while also providing complementary nutrients such as zinc, helping keep these delicate minerals in healthy, balanced ratios. The benefits of grass-fed heart for hormone health, however, lies in its collagen – and therefore amino acid – content. Collagen is loaded with amino acids, which help balance hormones, and in turn, neurotransmitters (aka those little things that control your mood- hello PMS!). Its arginine, proline and glutamine content help produce optimal levels of hormones, while its glycine is liver-supportive, aiding in the elimination of toxic xenoestrogens. Beef heart is also rich in CoQ10 – a substance needed and used by every cell in the body. Its role in reproductive health is particularly interesting. In fact, studies reveal that CoQ10 supplementation can help both male and female infertility. It even shows evidence of reversing signs of reproductive decline as we age. Last but not least, beef brain is one of the richest sources of omega-3 fatty acids, EPA and DHA. Omega-3s are considered essential nutrients, so while they’re absolutely necessary for human function, we don’t produce it ourselves. It must be obtained from outside dietary sources. You’ve likely heard of the many benefits of omega-3s, but its role in balancing hormones is lesser known. In combination with saturated fats, omega-3s play an integral role in the production of certain hormones. Without sufficient levels of omega-3 fatty acids, our bodies can’t produce the hormones we need and must turn to other, lower quality sources of fats. Not only involved in the production of hormones, omega-3s also play a role in their communication and transport. In fact, omega-3s can help trigger appropriate responses while conserving energy and using fewer hormones. Beef heart is also a rich source of neuroprotective nutrients such as phosphatidylcholine and phosphatidylserine as well as the antioxidants carnosine, carotenoids and tocopherols, which are critical in the protection of neurological tissue. Many of these organs contain a rich array of B vitamins, which play a critical role in hormone health. Vitamin B5, for instance, is directly involved in steroid hormone production. Hormones like estrogen and progesterone won’t be adequately manufactured without ample amounts of B5. Vitamin B6 is also important as it binds to excessive amounts of hormones such as progesterone, helping decrease our risk for hormonal cancers. What About Saturated Fat & Cholesterol? Let’s just go ahead and address the elephant in the room, shall we? With all this talk about the benefits of organ meats, I know there are many of you wondering if there are any downfalls in regard to its cholesterol and saturated fat content. For years, we’ve been told about the dangers of cholesterol, but some extensive studies show otherwise. One was a 12-year study with over 12,000 patients that showed it was actually too low cholesterol that resulted in death. Even more, studies indicate that sugar is the worst offender when it comes to heart disease. Both cholesterol and saturated fats are beneficial for hormone balance, immune function, and even neural signaling. In fact, our bodies are incapable of producing certain hormones without cholesterol as it’s a precursor to steroid hormone classes such as androgens, glucocorticoids, and progestogens. So now that you know the impact organ meats can have on your health, especially your hormones, you may be wondering how you can work it into your next meal plan. Some find the taste, smell and texture of organ meats a tad unbearable, but there are things you can do to make them better. You can ground them and mix with ground beef to be used in meatballs or meatloaf. I’ve also seen people use chopped liver in chili or in lieu of sausage in a savory sausage hash. 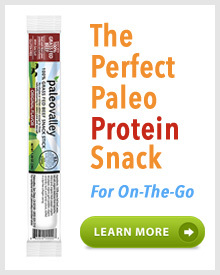 Personally, I prefer to skip the taste, smell and hassle of cooking altogether with our Grass-Fed Organ Complex. It’s a gently freeze-dried powdered form of grass-fed beef liver, heart, kidney, and brain, contained within a tasteless capsule. In so many areas - but especially when it comes to our hormone health - we don’t need to reinvent the wheel. Sometimes we just need to get back to our roots and revive the buried nutritional truths that allowed our ancestors to thrive for generations.